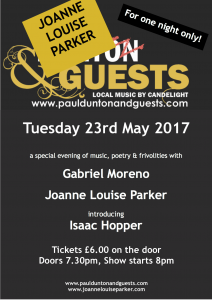 23rd May – Singing For My Birthday! Psssst! It’s my birthday soon and I don’t usually make a big thing about it but this year, I am making an exception. FOR ONE NIGHT ONLY.. 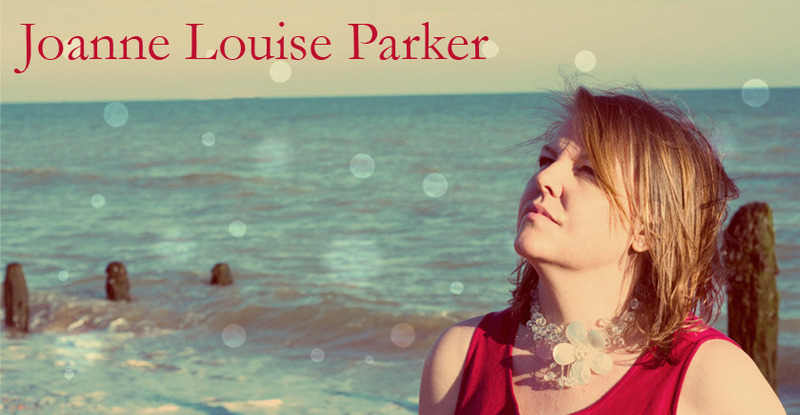 I am taking over Paul Dunton’s musical showcase (.. with his permission!) to curate a special show for you lovely people. 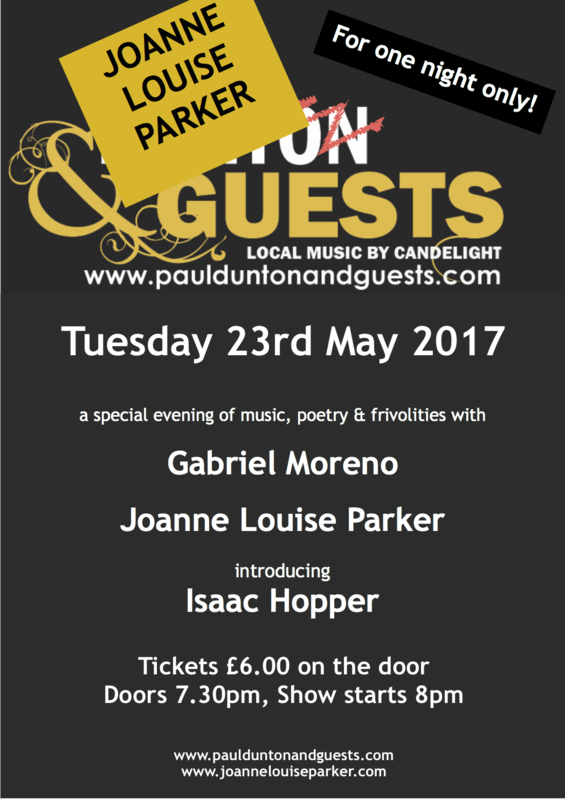 There will be music, poetry and a few other surprises..
On the bill this special evening will be headlined by musician and poet Gabriel Moreno, a glittering set from yours truly Joanne Louise Parker and a debut set from Isaac Hopper on the guitar and a few other surprises sprinkled in along the way. 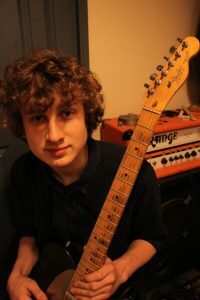 Isaac is only 17 but he already knows an awful lot about guitars. He started learning to play at 10 years old and in the 7 years he has been playing, he has achieved Grade 7 Acoustic Guitar. 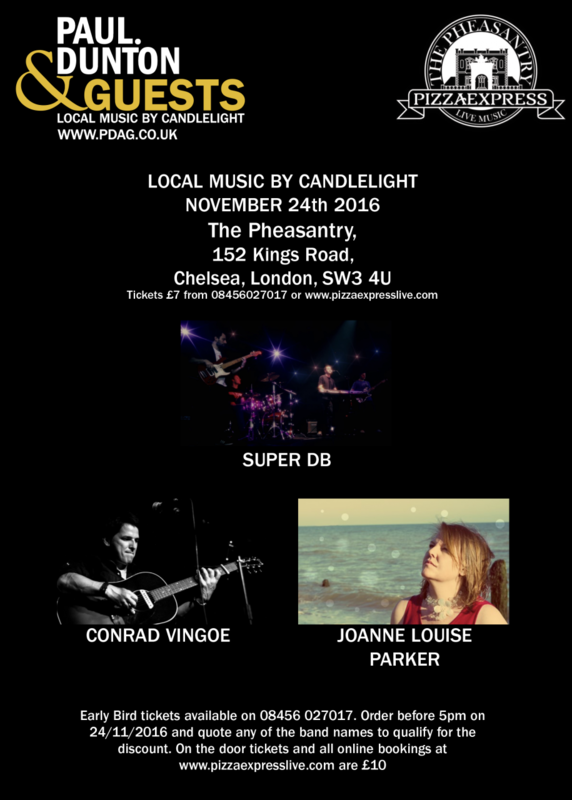 I am heading up for a rare gig in London on 24th November and looking forward in particular to playing the grand piano they have there…. !! Early bird tickets priced at £7 are available by phoning 08456027017. Tickets can also be booked online costing £10 by clicking here. 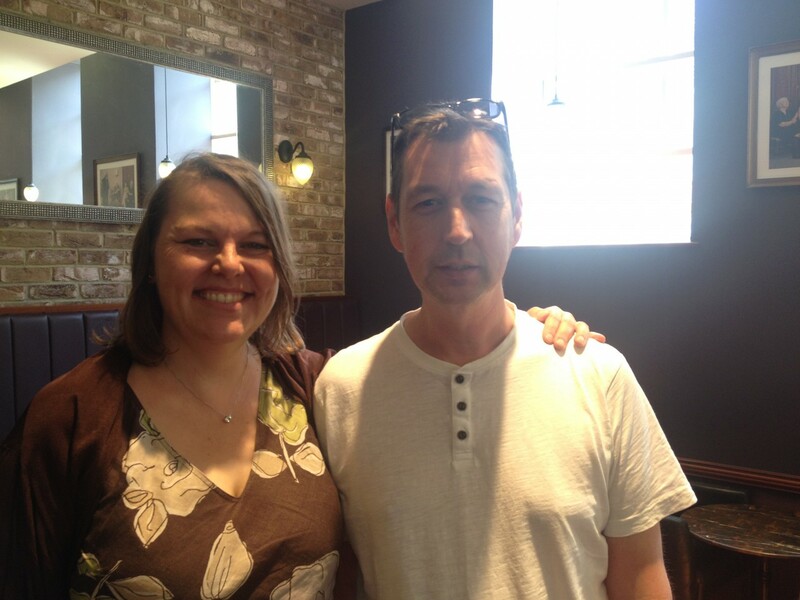 Slow Tour – Next Stop Berkshire! If you are around, please do drop in and say “Hello!”. 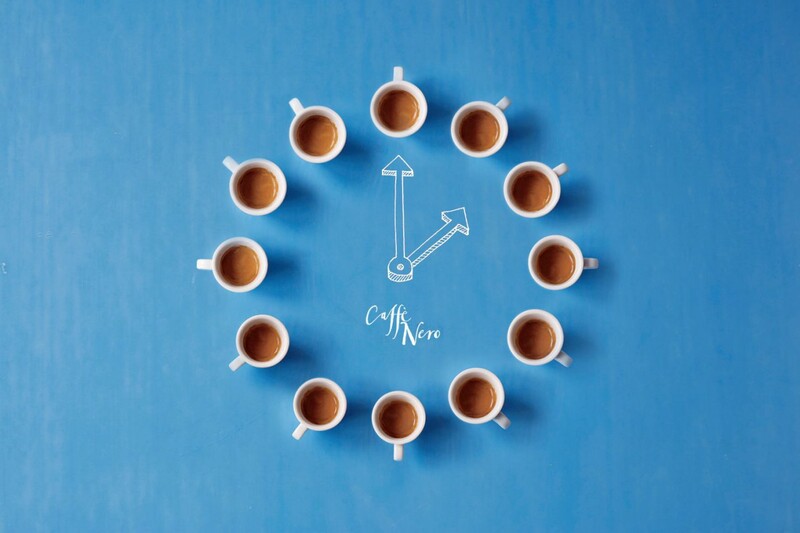 Time to Tour with Caffe Nero. 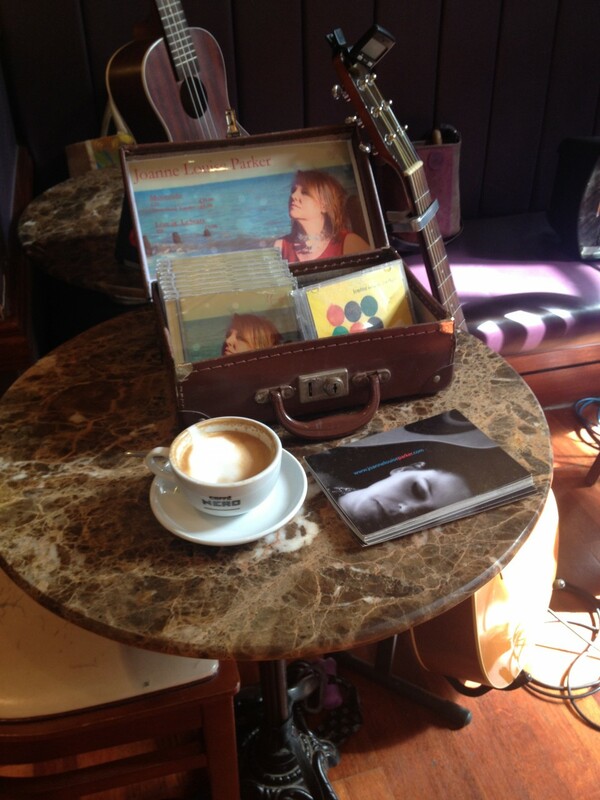 Back in February I reported that one of the songs from my Moontide CD had been added to the Caffe Nero playlist. 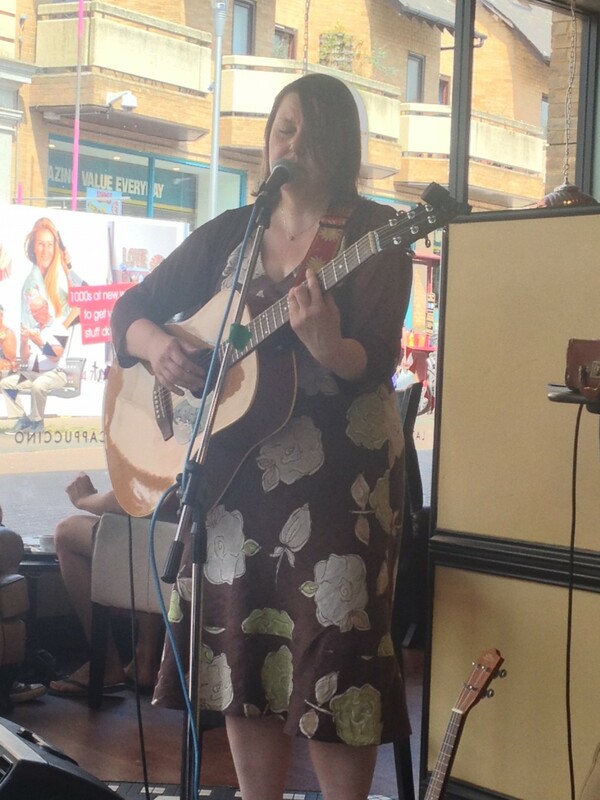 Well, now I am delighted to inform you that I will be playing live in Caffe Nero as well! 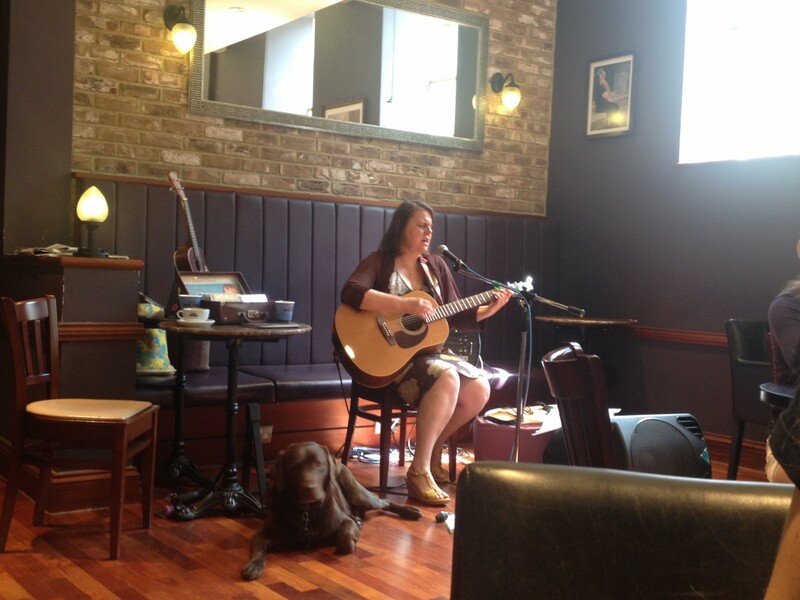 This weekend will see the start of my slow musical tour of hand picked Caffe Nero’s throughout the UK. Just like my favourite flat white, I think this will be best taken in slowly and savoured one county at a time. I am in no hurry, and with 48 counties in England alone a t a rate of one county a month – it’s going to take a while! 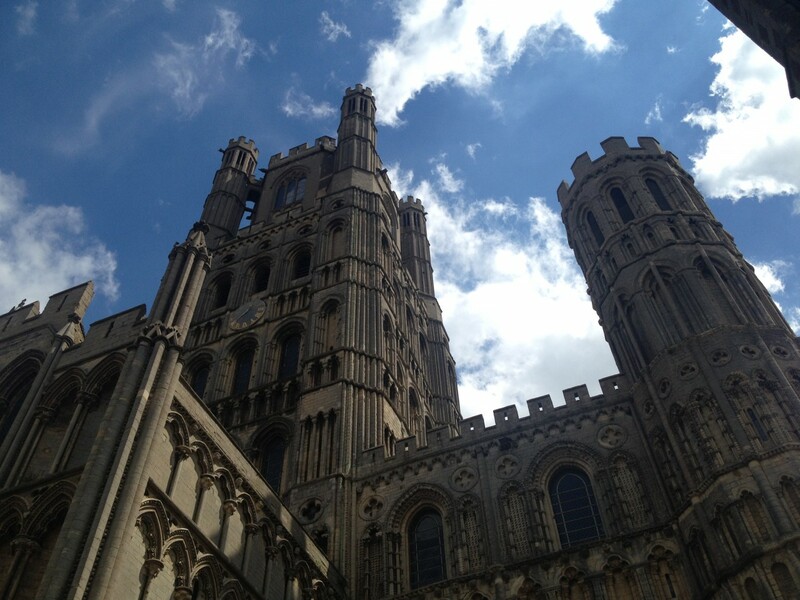 I can’t think of a better place to kick things off than in my home county of Cambridgeshire. Click here to see dates. If you want to know when I’ll be playing in your county – sign up the mailing list via the link on the right hand side of this page and I’ll drop you a line! Would you like some music with that coffee? I have set myself a few performance goals for 2016! One of them is to perform in as many coffee shops up and down our fine country …and even in other countries, if the opportunity presents itself! So, we are off to a great start as Caffe Nero have added “Perfection” to their playlist which will be aired in all of their coffee shops worldwide! If you are reading this and you heard it playing – where were you in the world and what were you drinking? I absolutely love open mics. They are the musical equivalent of a lucky dip. 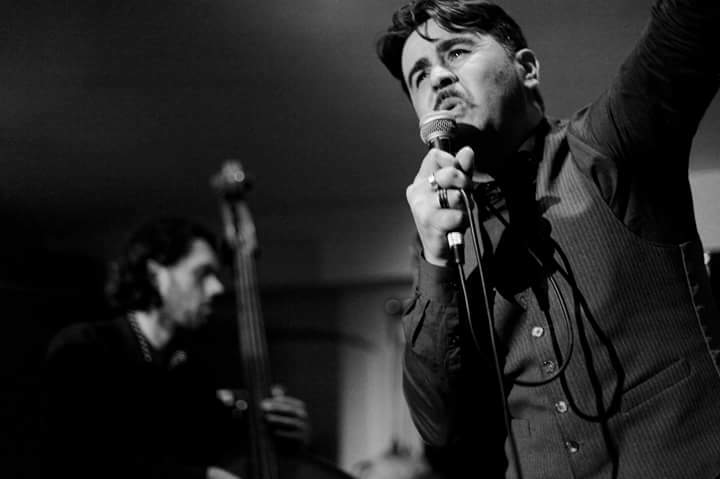 For punters, it’s a free evening out where you can discover a wealth of talent and ability. For musicians, it’s are a great way to network, meet other musicians, audition for gigs, try out new songs and find out the best places to play all in a low pressure environment. I have just come back from an experimental tour of a few open mics outside my home county of Kent. 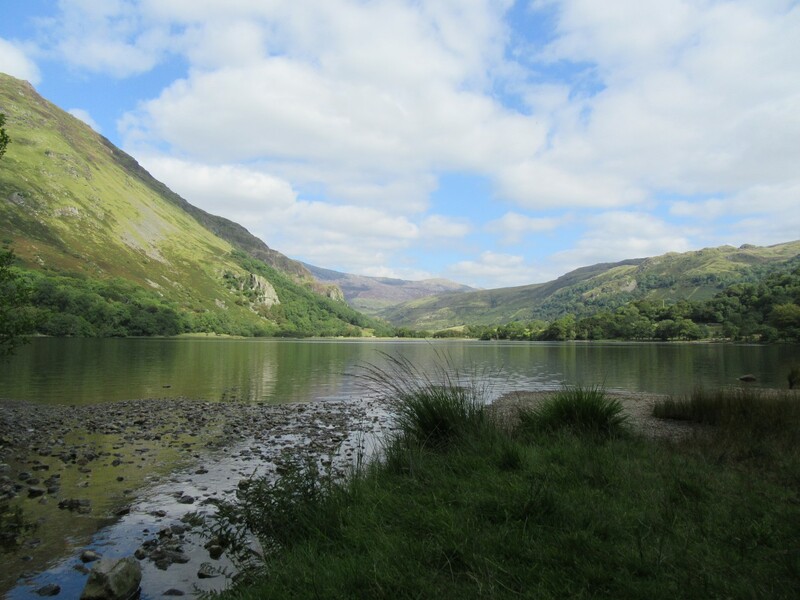 I decided to combine my love of music, open water swimming and glamping and take myself off to the left hand corner of Wales. There, I went to a couple of brilliant open mic evenings, met some great musicians, was invited into homes to play and ultimately back for some more music later in the year. Success!! 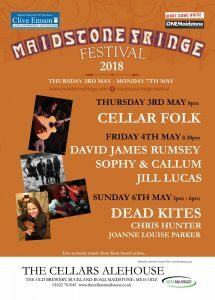 So, inspired by this trip, I am on a mission to tour the length and breadth of our fine country to uncover and blog about our finest regular open mic and acoustic music events. I want to feature the people who run them and the sterling bunch of folks who turn up every week to a random audience and play everything from the latest song they wrote to a popular cover. You will see that I have set aside a special section on the right hand side of this website just for that! 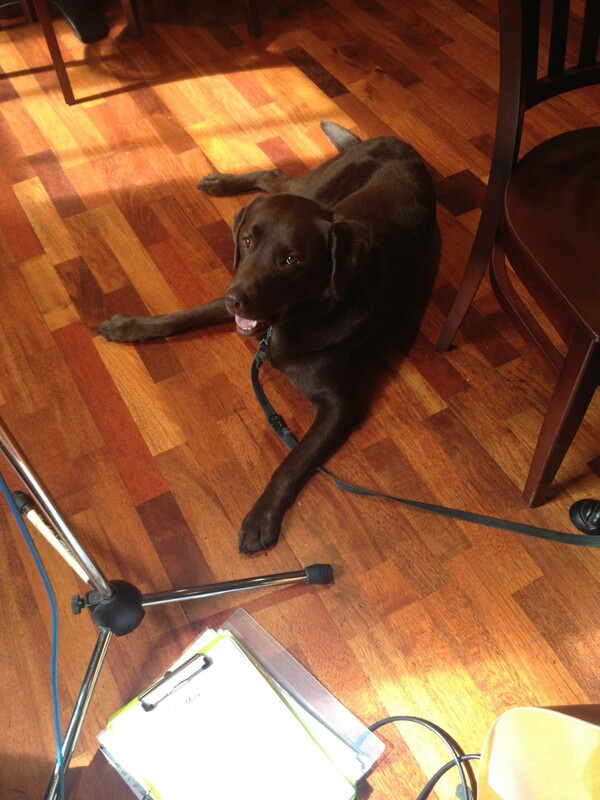 But before I can blog – I need open mics to go to… So, if you run a regular open mic – I would love to hear from you. Local and Live is a free festival but it costs a lot of money to run. 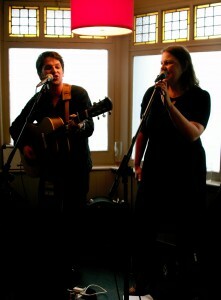 This year the aim is to crowd fund the £30,000 needed to run L&L via sales of a 10th Anniversary CD. 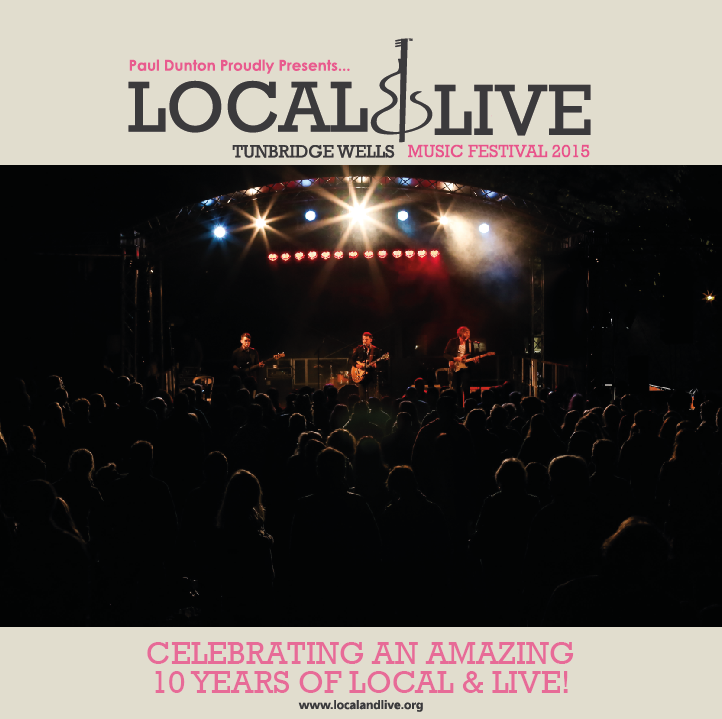 It costs £11.75 to reserve this 4 disc compilation featuring 80 tracks from selected artists who are performing at this year’s festival! Listen closely and you will hear a tracks from “Moontide” on it too! Read more about this crowdfunding initiative here. 10th Anniversary of Grey Lady Showcases. I can’t believe that it’s been 10 years since Paul Dunton and Ollie Nicholls started the artist showcases at the Grey Lady in Tunbridge Wells. 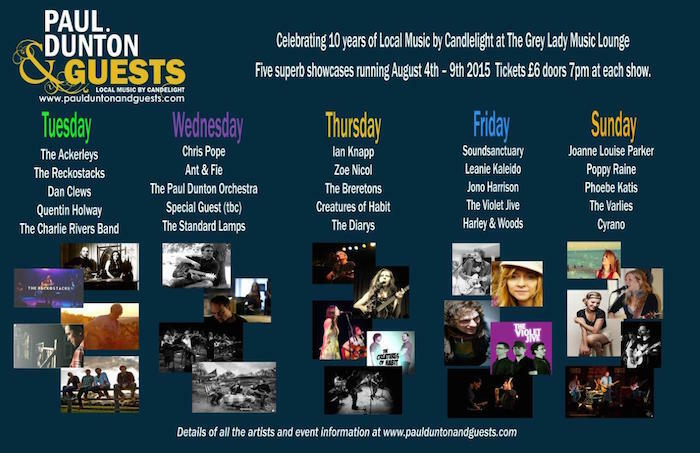 To celebrate, there will be 5 nights of showcases starting on Tuesday 4th thought till next Sunday 9th August. 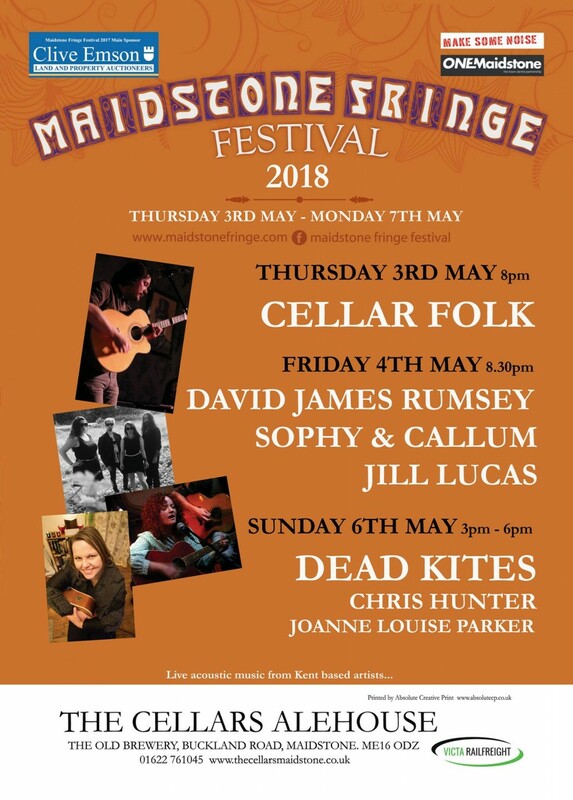 I am delighted to have been asked to form part of the celebratory line up and will be starting off the evening’s proceedings on Sunday 9th’s showcase. 10 years down – Here’s to 10 and many more! I love playing at music festivals and showcases but the events I get the most enjoyment from are the ones I organise myself. After the great feedback on the Moontide launch night at The Barn Chapel in Pilsdon Community in West Malling. I have been itching to get out and play in more churches and other spaces of acoustic and architectural interest. I had, however, been dragging my feet as I didn’t really want to do this all by myself. 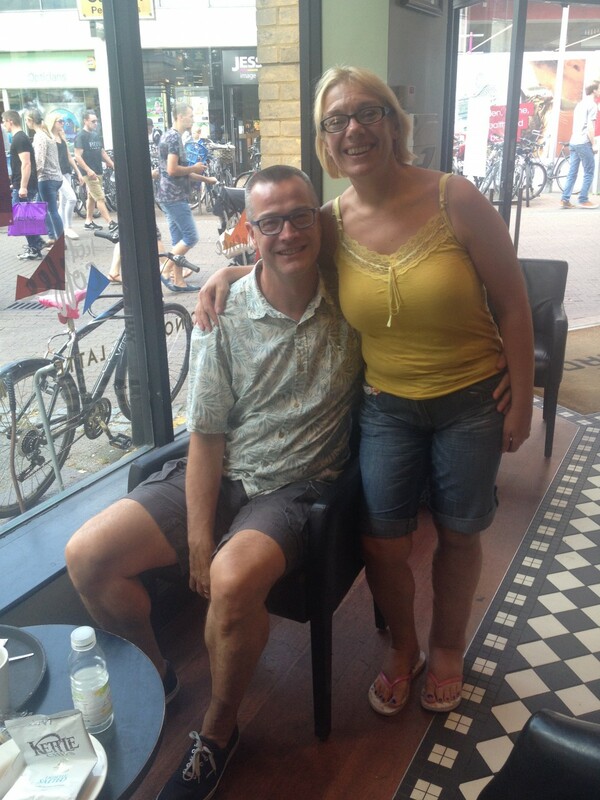 Lucky for me that I bumped into Brighton based singer/songwriter Conrad Vingoe who liked this idea too. 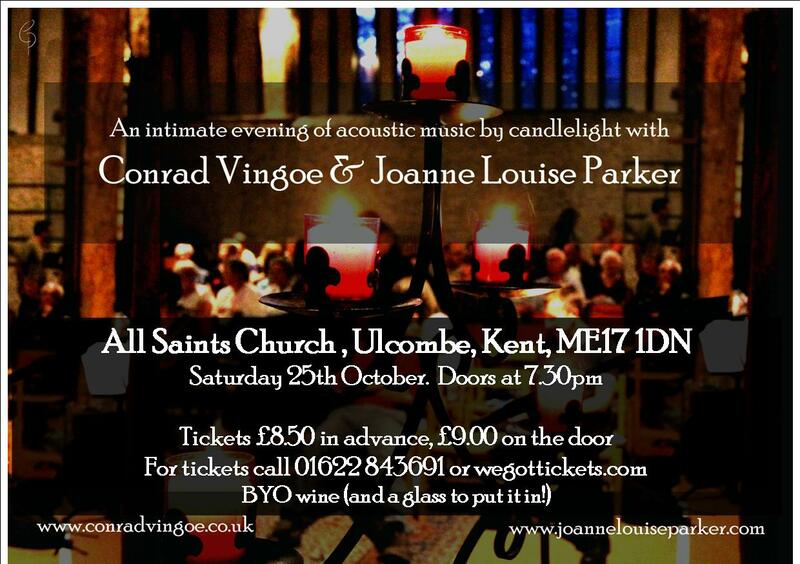 So, we will be doing our very first big concert together in All Saints Church, Ulcombe, Kent on Saturday October 25th 2014. All Saints is a beautiful 12th century Grade I listed building perched up on the Greensand Ridge, known for its wonderful acoustics. To keep costs down, we have made it a BYO Bottle event (with a glass to put it in). 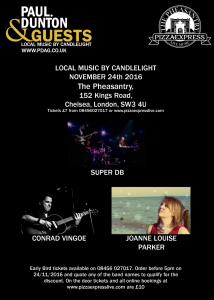 There will be lots of candles and little lights and we will be mixing in some well known classics with our own songs. Tickets are available in advance from WeGotTickets – Click on the link here for more information. Thank you to Hugh Pritchard for the above photograph.